An operative with the Economic and Financial Crimes Commission, EFCC, Junaid Sa’id, testifying in the ongoing trial of former Benue governor, Gabriel Suswan and his finance commissioner, Omodachi Okolobia on Monday 18, 2016 told Justice A. R. Mohammed of the Federal High Court, sitting in Maitama, Abuja, that Suswan diverted proceeds from the sale of shares owned by the Benue State government and Benue Investment and Property Company Limited. According to him, Suswan ordered the sale of Benue State-owned shares through Elixir Investment Partners Limited, a stock brokerage firm. Sa’id, while being cross examined on Monday by Suswan’s counsel, Joseph Daudu, SAN, told the court that, his investigation revealed that an offence had been committed going by the way proceeds realized from the sale of the shares were managed. The case was adjourned to Tuesday, 19, 2016 for continuation of hearing. At the resumed sitting today, the prosecution counsel, Rotimi Jacobs, SAN presented another witness, Brigid Shiedu, managing director, Benue State Investment and property Limited. Testifying, Sheidu told the court that, her duties among other things include: coordinating the general activities of the agency and implementing decisions taken by the board of directors. According to him, “I was invited to the Government house by Suswan who was with Okolobia, for discussion on the sale of some of Benue State shares held in trust with Benue State Investment Limited. “Former governor Suswan, directed the sale of the shares after our meeting and the former commissioner sent two account numbers to me”, Sheidu stated. Both Suswan and Omodachi are being prosecuted by the Economic and Financial Crimes Commission, EFCC, on a 9-count charge bordering on money laundering, abuse of office and obtaining by false pretence to the tune of N3.1 bn. 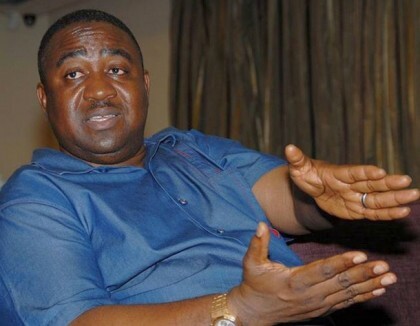 Suswan and Okolobia were alleged to have diverted the proceeds of the sale of shares owned by the Benue State government and Benue Investment and Property Company Limited. The offence is punishable under Section 15, Sub-section 3 of the Money Laundering (Prohibition) Act as amended in 2012.